NORTH Queensland product Tom Flegler is the one that got away, with the Broncos trumping the Cowboys for the signature of a front-row sensation rated the next Shane Webcke. 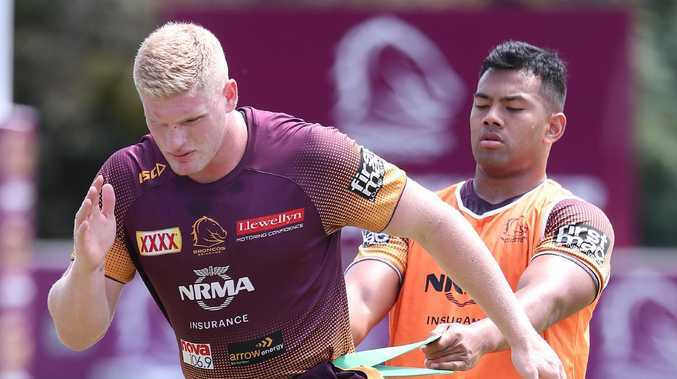 Flegler hails from Tully deep in Cowboys territory but thanks to the shrewd eye of Brisbane's recruitment team, the 19-year-old will find himself in Broncos colours for Friday night's Queensland derby at Suncorp Stadium. It will be Flegler's first taste of the NRL's greatest footballing rivalry following the selection bombshell that saw the boom prop handed his first-grade debut in last week's 22-12 loss to the Storm in Melbourne. 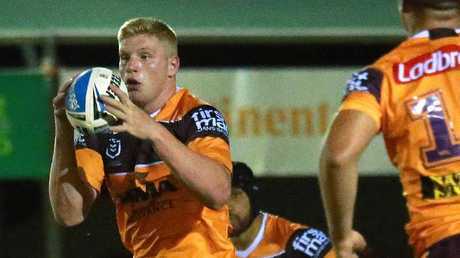 Flegler is regarded as Queensland's next front-row superstar, and Cowboys development chiefs could ultimately rue Brisbane's successful poaching raid on the hard-running 108kg bookend. The teenager's manager Tas Bartlett recalled both the Cowboys and Broncos expressing interest in his services before Flegler backed himself to break into the NRL squad at Red Hill. "It wasn't so much a case of North Queensland not rating him, because they were aware of Tom's ability. "The Cowboys made a small offer and then the Broncos came into the picture as well. "He's a local junior but the Broncos have a good development program, so in the end it was an easy decision for Tom. Flegler has made just one NRL appearance. AAP/Image Sarah Marshall. "He's always loved the Broncos and it was his ambition to wear their jumper." The Queensland under-20s young gun has been compared to legendary Broncos prop Webcke with his no-frills hit-ups and bush-style toughness, but Flegler's rise to the NRL is no fluke. What few have seen is Flegler's work ethic to make the big league. While other teenagers turn to nightclubs and alcohol, Flegler transformed the family farm into his training base. "He works as hard as any kid I've seen," Bartlett said. "I remember a personal trainer once said to Tom when he was 15 or 16, you need to work on your speed. "Tom wasted no time. 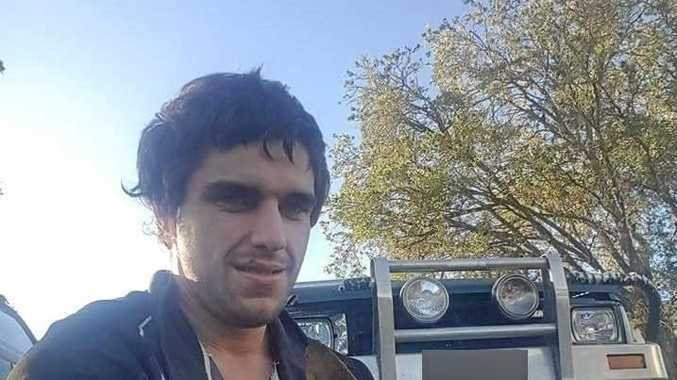 He mowed a 90-metre patch of grass at the family farm that was slightly downhill and used it as a sprinting track. Flegler will line up against the Cowboys for the first time. "He would run down hills to increase his leg speed. He would push sleds up and down the track. "Yes, you have to be born with some sporting talent, but you also have to have a certain desire and Tom has it. "He is a competitor who just wants to be better all the time." Flegler faces a daunting test against Cowboys hulks Matt Scott, Jason Taumalolo and Jordan McLean, but Bartlett is adamant the Broncos rookie won't be intimidated. "He wants to hurt people in both attack and defence," he said. "He loves to whack people and take it to anyone he plays against. "A lot of players just want to make their tackles but Tom loves being an enforcer."